Using the Eve Taylor Purifying Range which has been developed to reduce the excess oil production with specific essential oils you will be pre-cleansed and then cleansed with the Purifying Wash using the facial massage brush. Your skin will be prepped using a scrub containing Bamboo, after which a layer of moisturise increasing serum will be applied before 20 minutes of the Light Therapy mask utilising the blue light that has been proven to reduce the oil production and banish bacteria that inflames and causes blemishes of the skin. Dry skin can be prone to breakouts as the more dry the skin feels the more it will work hard to produce sebum and potential block pores leading to breakouts. While the light mask is on you will be treated to a hot stone shoulder and neck massage which will relax you even further and the light is targeting your skin. After the light mask an application of Eve Taylor’s Sebum Response Serum will be applied over the skin this works by regulating the balance of the hydrolipidic film of the skin as imbalances of this can cause or encourage oily acne conditions. Once the serum has been absorbed a further check of the skin will identify further breakout areas which will also receive targeted treatment of the Eve Taylor spot gel that contains Tea Tree provides powerful anti-septic properties targeting pustular breakouts to reduce bacterial growth. Lavender offers anti-inflammatory, anti-bacterial and skin repairing benefits. Lemongrass brightens the skin while having anti-septic and astringent effects. Finally an application of the Purifying range moisture lotion will keep the skin hydrated without feeling heavy and oily. 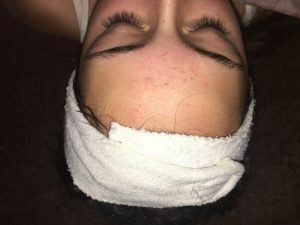 This is a very noticeable treatment after only one session you will see a marked difference in the inflammation and redness of the problem areas. Description: A foaming gel based cleanser gently yet effectively removes skin impurities. Our unique blend of essential oils helps reduce skin oil while providing antiseptic, antibacterial properties for a clear, clean complexion. Benefits: Soap free, foaming cleanser deeply cleanses without stripping. Our unique blend of essential oils purify and cleanse oil rich skins. Zingy Lemongrass gives a refreshing aroma awakening the senses. Key ingredients: Coconut, Tea tree and Ylang Ylang. Eye and lip make-up removal with Soothing Eye Make-up Remover on dampened cotton wool pads. Cleanse face, neck and décolleté with Clear Cleanse® on dry skin. Cleanse for a second time applying Purifying Wash utilising the facial brush. Light Mask for 20 minutes during which hot stone upper shoulder, neck and scalp massage performed. Sebum response serum will be applied, once absorbed further inspection of treatment aim areas to be assessed and spot gel applied if necessary. Seaweed based eye gel to firm and moisturise the delicate eye areas will be applied. Thin application of Purifying Moisturiser will be applied. 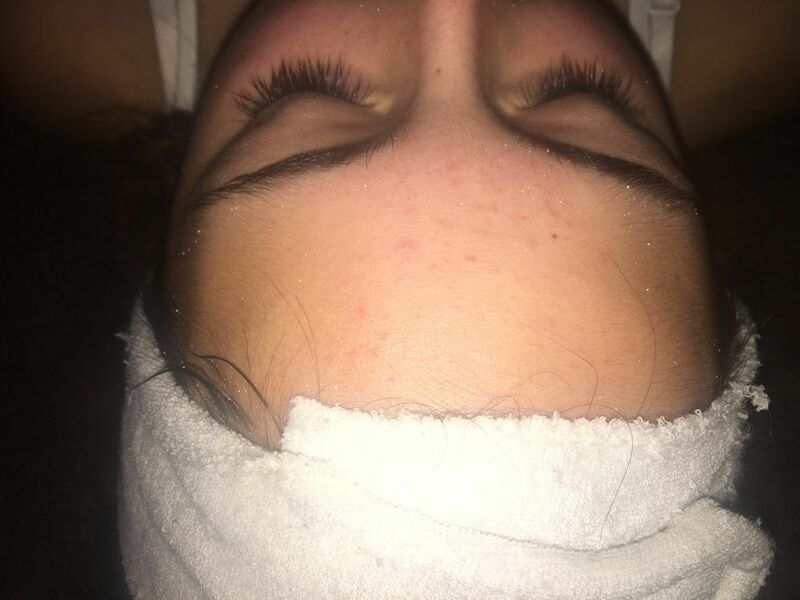 £35 for 60 minutes, if under 18 check out the teen/express facial as a 30 minute version of this facial is also available for £20.